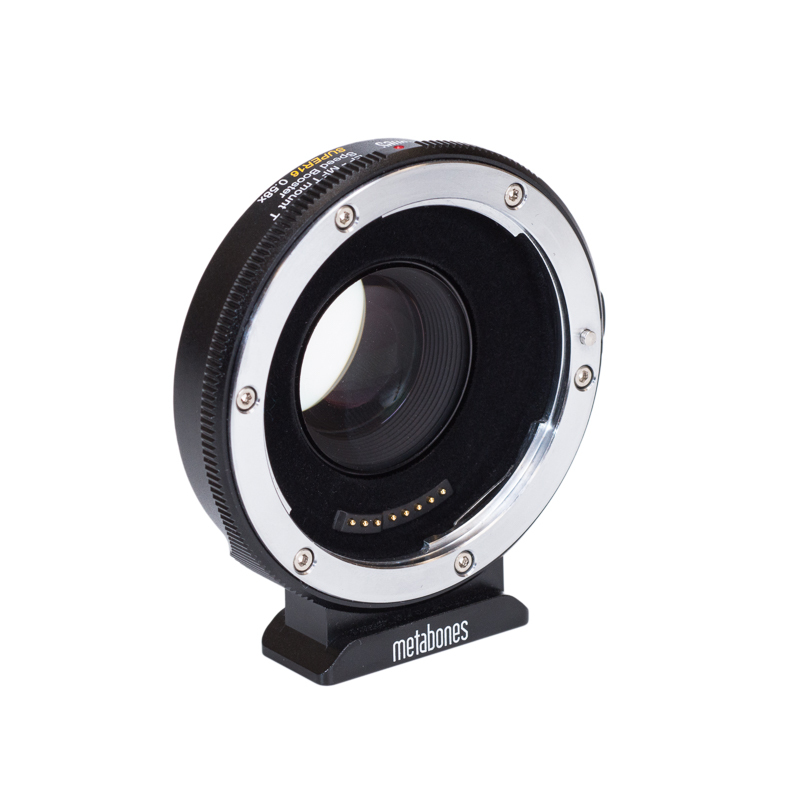 Metabones® releases firmware version 3.1 today, adding autofocus support to Blackmagic Pocket Cinema Camera 4K. The intent is not to replace, but to supplement focus-pulling in cinematography. There is no continuous autofocus, but one-shot AF is activated by pressing the focus button on the back of the camera. It may take a couple of seconds or more to lock and if used during filming will cause visible disruption in the footage. Use it before recording commences and we recommend manual focus during recording. 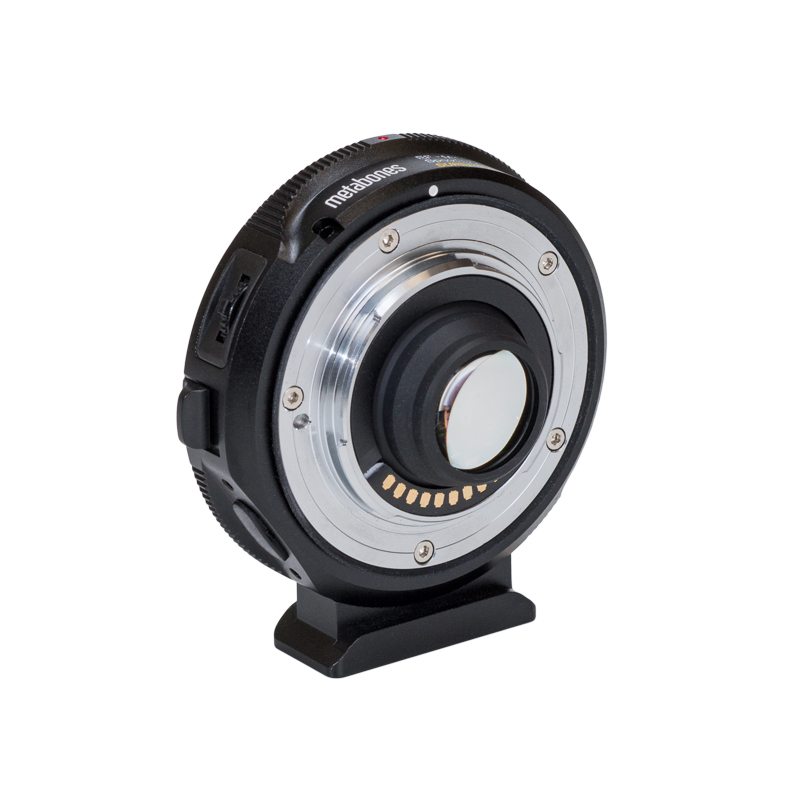 While most lenses can be powered by the Blackmagic Pocket Cinema 4K camera body, certain lenses such as Canon EF 85/1.2L II USM, Tamron lenses and Tokina Opera 50/1.4 (this is not an exhaustive list) may require an external 5V power source supplied via the micro USB port of the adapter because the camera body is unable to supply enough power to these lenses. When you shop for a power solution for your camera we recommend getting one with an auxiliary 5V output to supply the lens. There will be new Pocket 4k Speed Boosters® with new optics specifically optimized for the unique characteristics of the new Blackmagic Pocket Cinema Camera 4K. We will disclose details in a separate announcement. 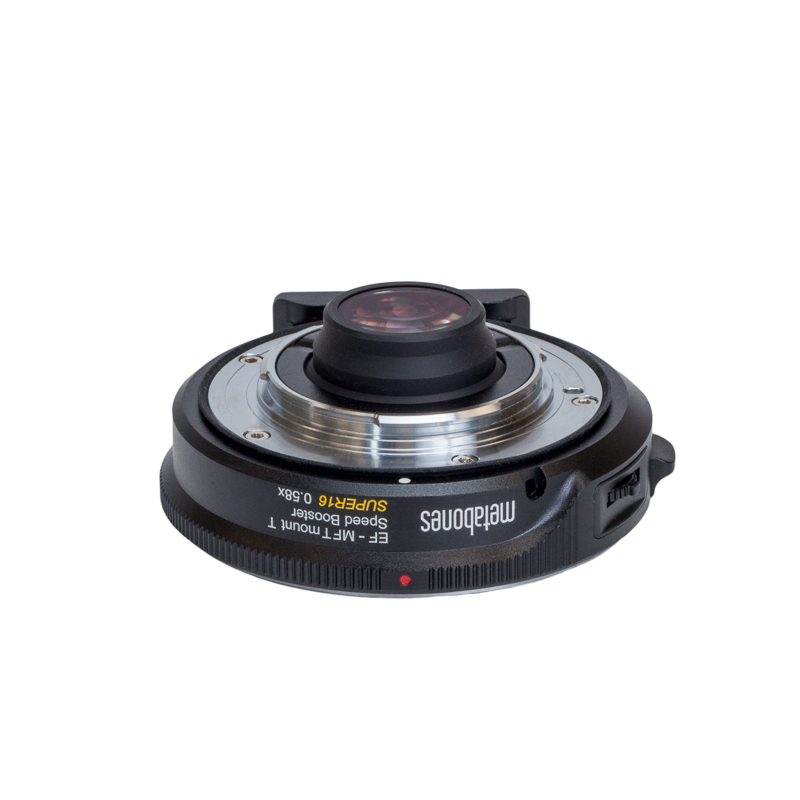 Each Speed Booster® is designed specifically for the filter stack of the sensor. 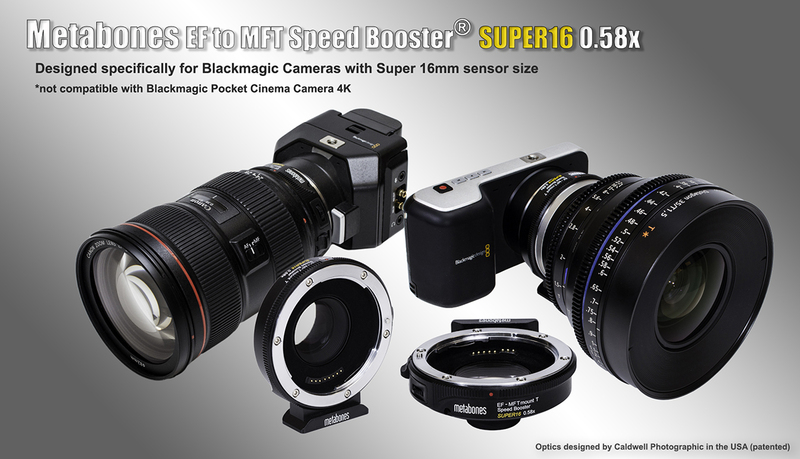 The existing Speed Booster® XL 0.64x and Speed Booster® ULTRA 0.71x have excellent optical properties on JVC, Olympus and Panasonic cameras but the forthcoming Pocket 4K Speed Boosters will work only on Blackmagic cameras. 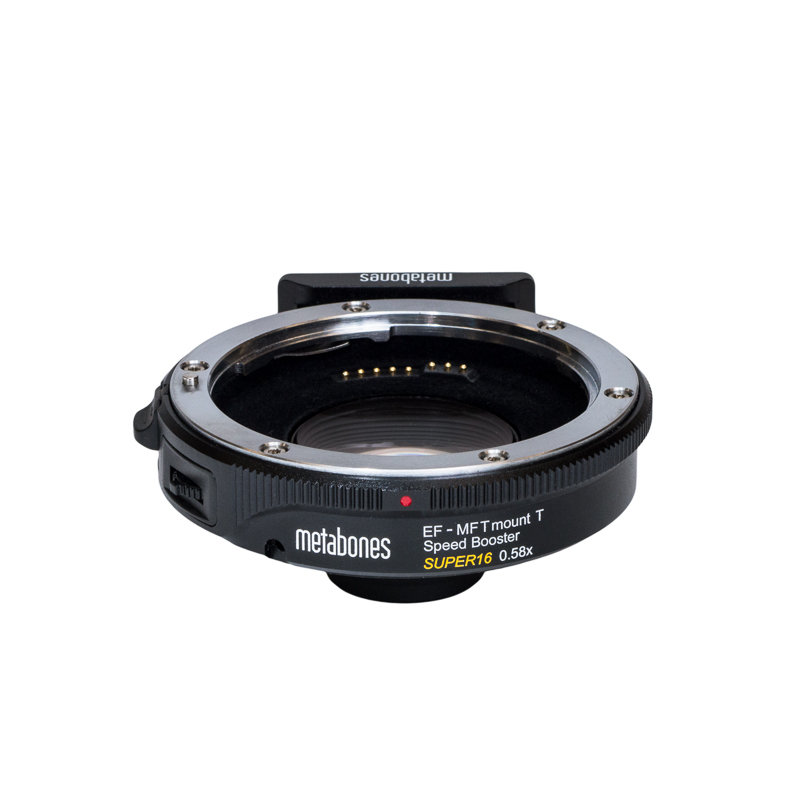 Important note: Metabones Canon EF Lens to Micro Four Thirds T Speed Booster SUPER16 0.58x (MB_SPEF-M43-BT7) is for Blackmagic cameras with Super 16mm sensor size. It is not compatible with Blackmagic Pocket Cinema Camera 4K. 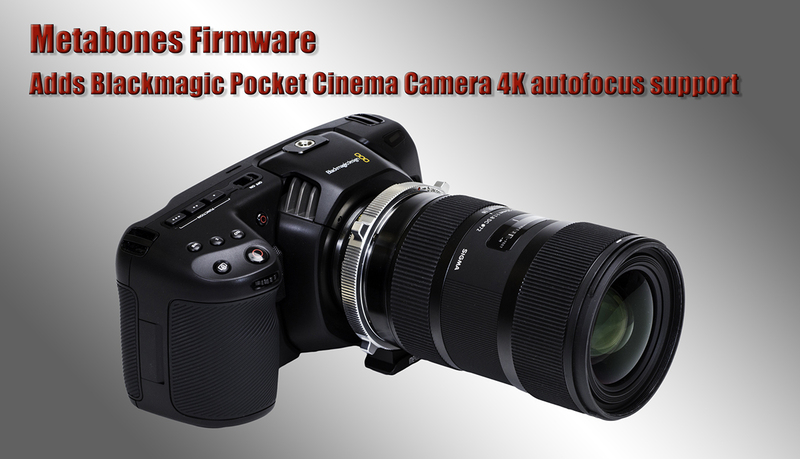 New products designed specifically for Blackmagic Pocket Cinema Camera 4K will be disclosed in a separate announcement.